Interviews with key figures in the events space were published even before delegates ended their meeting in Singapore this afternoon. 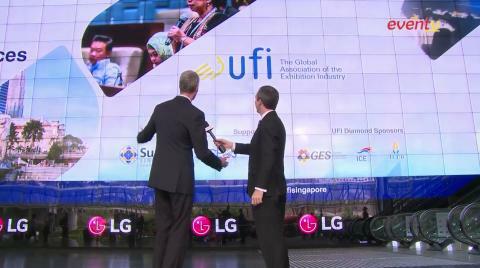 UFI - the global association of the exhibition industry - held its meeting titled "Digitalisation of Venues - New Service Opportunities" at Suntec Singapore Convention & Exhibition Centre yesterday and today (April 21-22, 2016), bringing together venue owners, event managers and others to discuss trends in digital and how to make the most of this emerging field. And what better way to underscore the point than to use digital technology to bring part of the discussion to those who were not able to attend the meeting in person. Watch them on the player below.